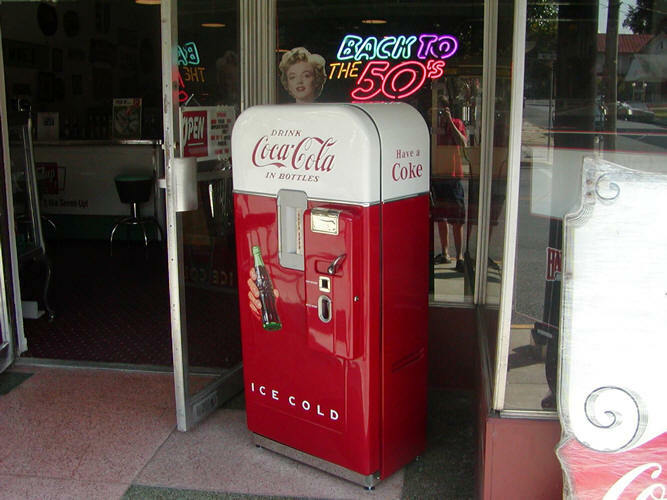 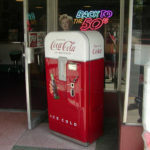 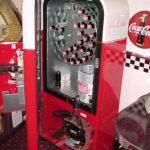 This classic machine, the Vendo 39, was produced from 1949 to the mid-50’s in the all red version, and into the late 50’s in the white over red version. 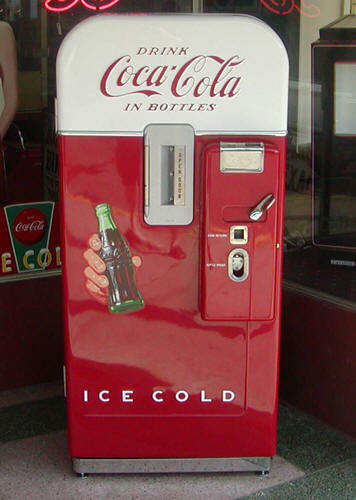 The “ice cold” embossing is not always present. 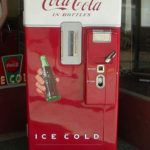 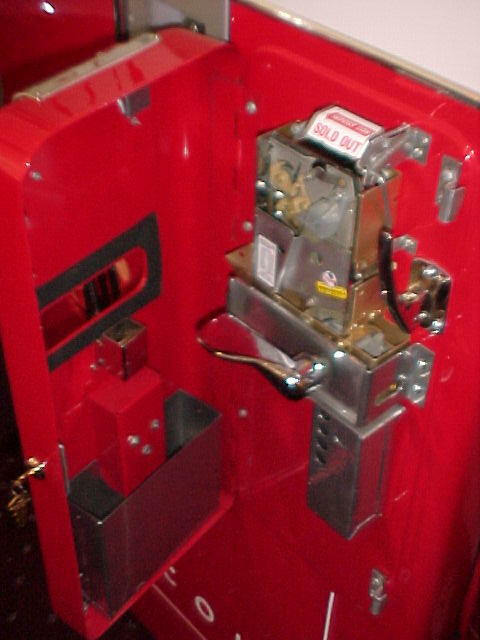 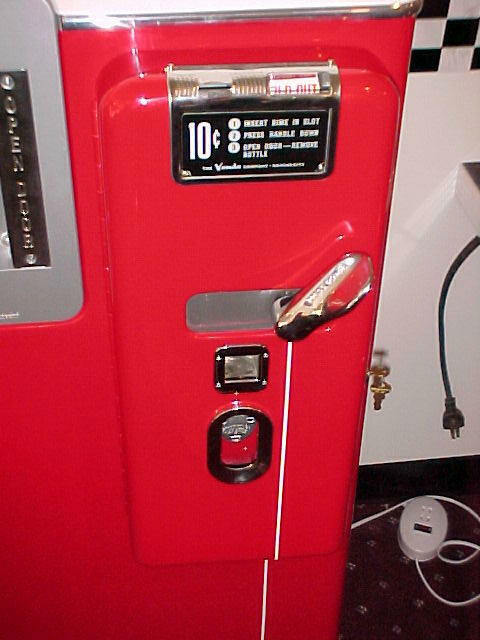 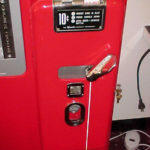 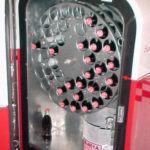 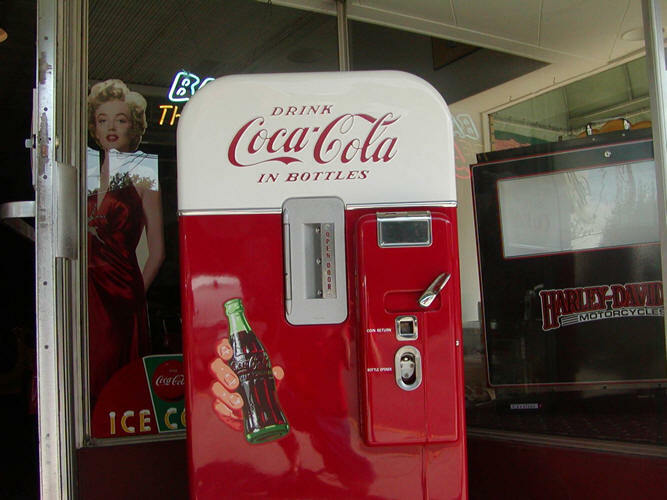 The earlier machines often had an embossed rib running down the coin door and only vend the 6½oz bottles. 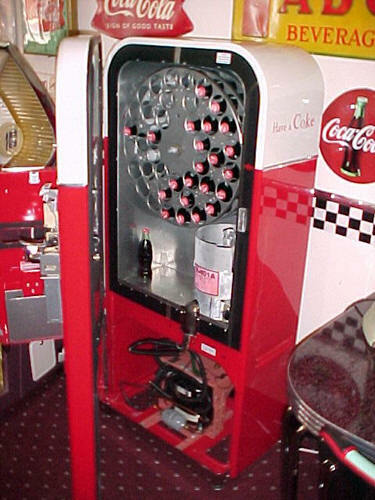 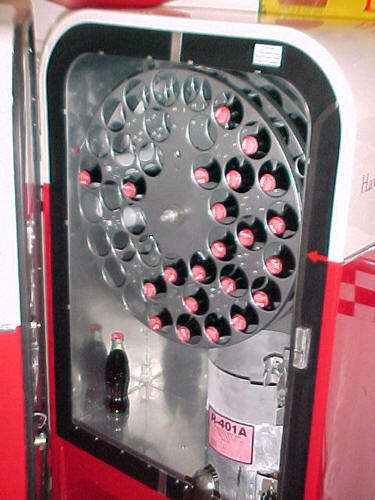 Later models had a drum that allowed 12 oz bottles to be vended by loading them backwards in the machine. 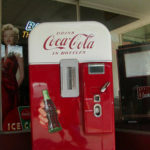 We are set up to ship our merchandise anywhere in the world. 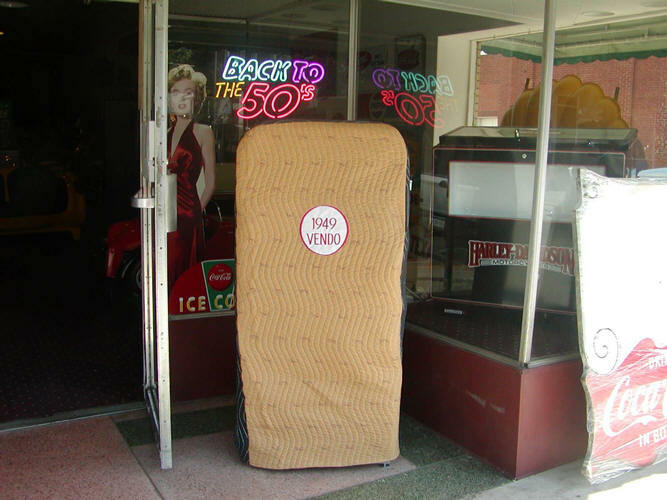 To facilitate this process, we have negotiated large discounts with all the major shipping companies and we pass this discount on to you, our customer! 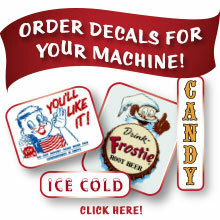 We have several options available for shipping your merchandise! 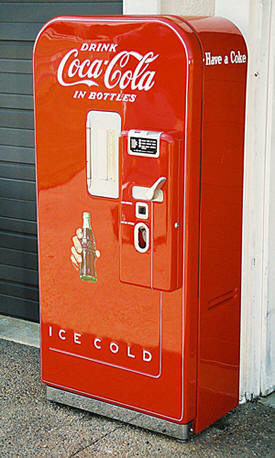 Send an email or call for specific shipping information to your home or business. 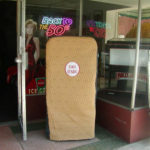 We also offer a RED CARPET in-home delivery service. 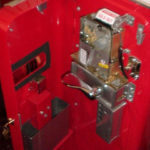 If you want a shipping quote, send an email or give us a call.